Today’s post is special to me. Today is Julie Mogford’s birthday! I have a beautiful card for you, Julie. Using masking technique, I have stamped and coloured a bunch of beautiful flowers for you. Hope you like it Julie! Have a wonderful day filled with fun, love, laughter and good health! 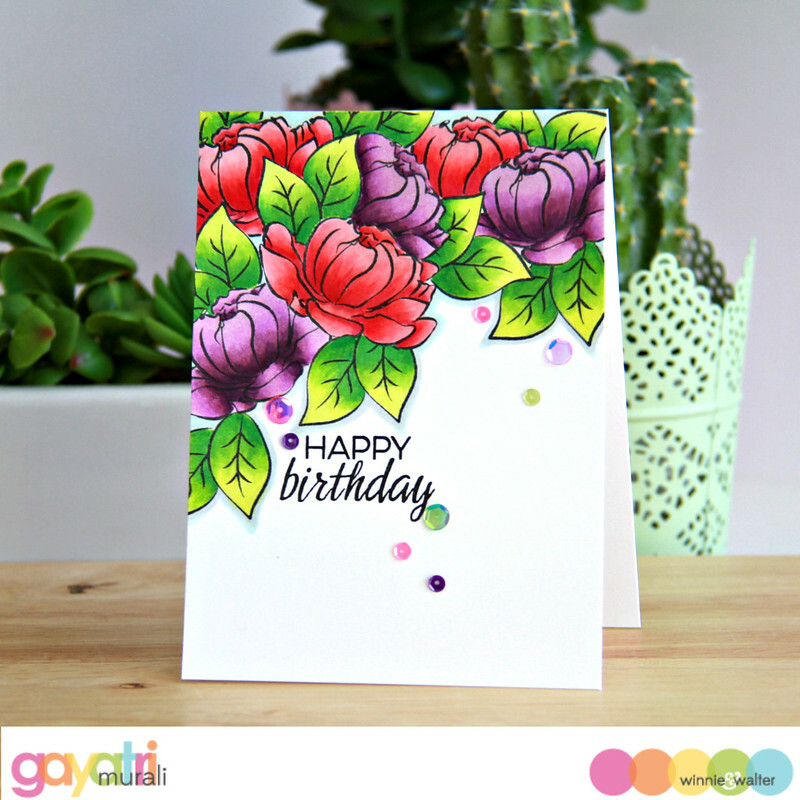 Beautiful card Gayatri!! 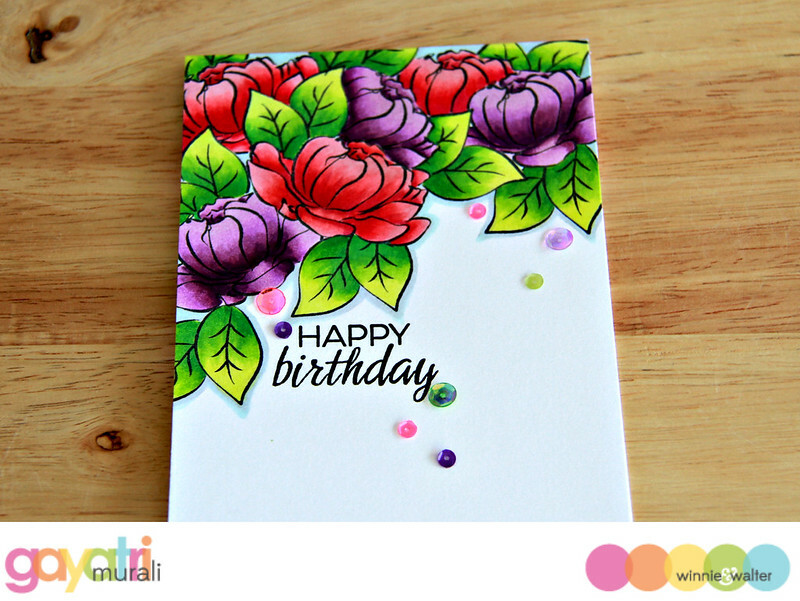 Love the design..
Wow, you did a fabulous masking job, Gayatri!! Happy Birthday to Julie! Simply stunning bold colours. Beautiful card ! beautiful colors….. Did you color it using copics or DIs ? Thank you Jahnavee! I coloured using copic markers. I seriously need to take lessons from you, Gayatri. I've figured out what is wrong with my Copic colouring – I'm too chicken when it comes to dark colours! I think next time I do some colouring, I will need to visit your blog first and remind myself how amazing your colouring is! Oh my word!! this is STUNNING!! I LOVE the vibrant colors that you used on this!! !